We have a number of these amazing School Laboratory tables from a college in the Cotswolds. The tops are a rich Beech wood with a chamfered edge detail, the frame is solid Beech with a central stretcher and side frames. 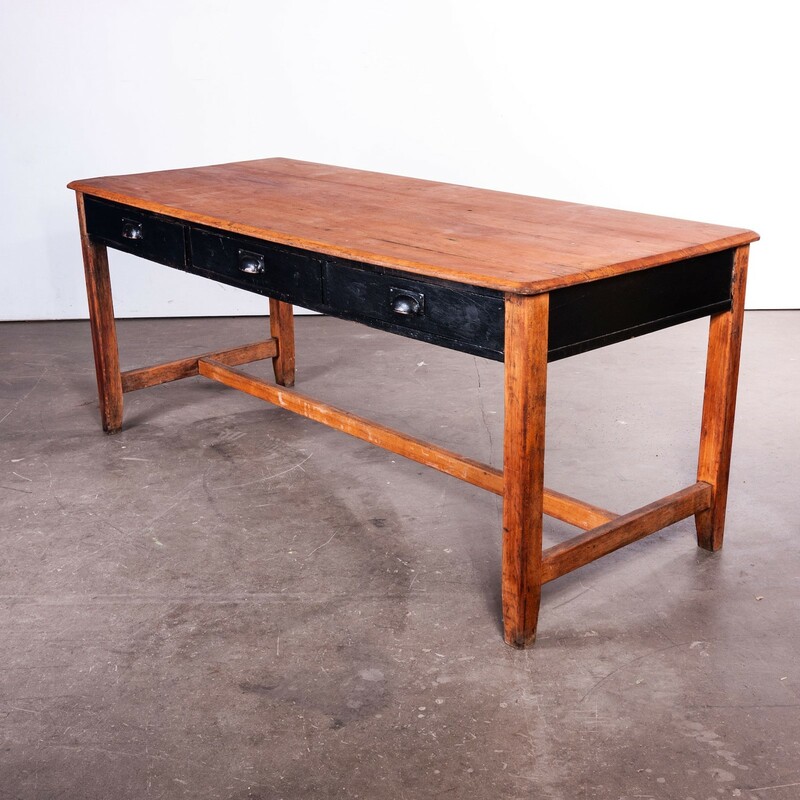 Three working drawers with heavy cast iron handles. 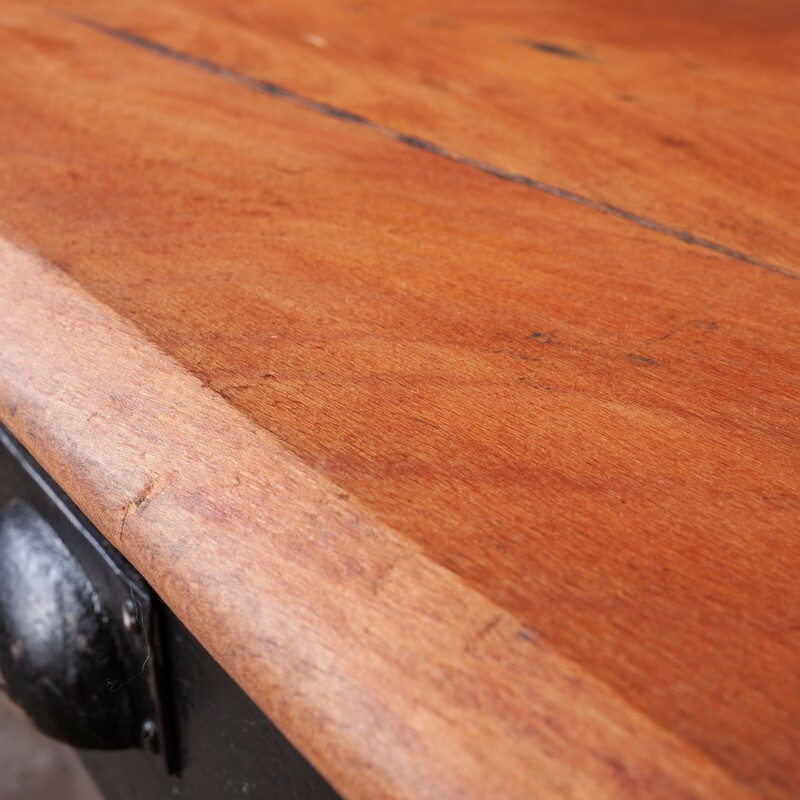 Great tables, stamped underneath 1956 – with the maker CE. The team at Merchant & Found have been involved in cutting edge design and vintage for over twenty years working for brands such as Habitat, The Conran Shop and Pedlars amongst others and we have been privileged to work with some of the best designers in the world. 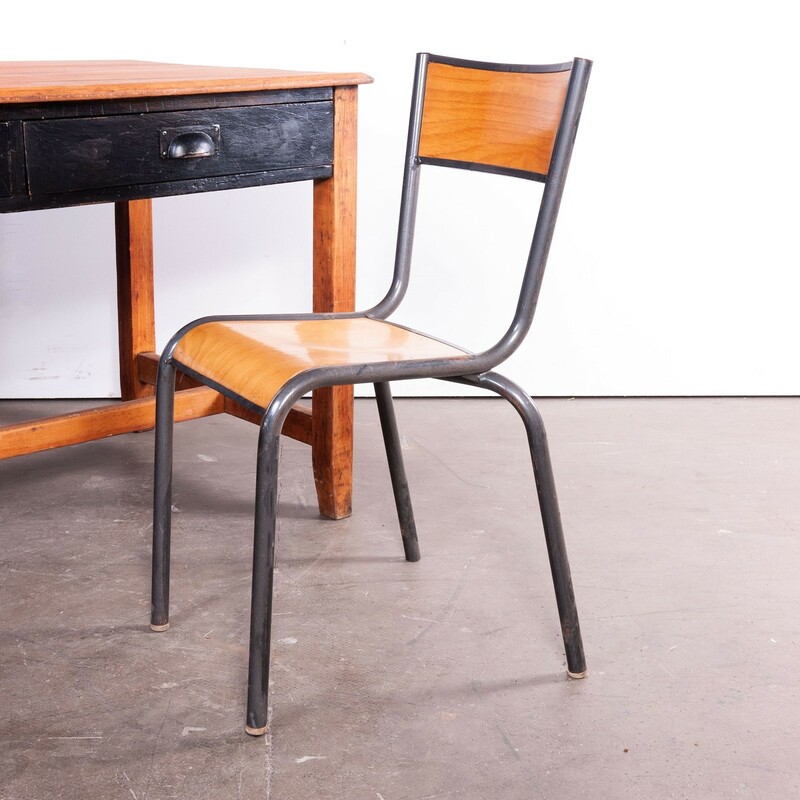 We source 'must have' finds throughout Europe specialising in mainly Twentieth Century furniture, lighthing and object, but always on the lookout for the unusual and pioneering the new looks. Over the years special finds have been spotted in all the best interiors magazines, and today the business is a thriving online hub selling to vintage aficionados all over the world. The DNA of what we stand for is pretty simple. We have been immersed in ‘home’ for many years and ultimately our Merchant and Found compass is guided by a few simple beliefs. Vintage. It has been gathering momentum for many years and we are true believers. If a piece has been made well designed and well made, then yes it’s great to have it new but it can be even better to have it old, an old piece has soul, it has the scars of life and can tell so many stories. 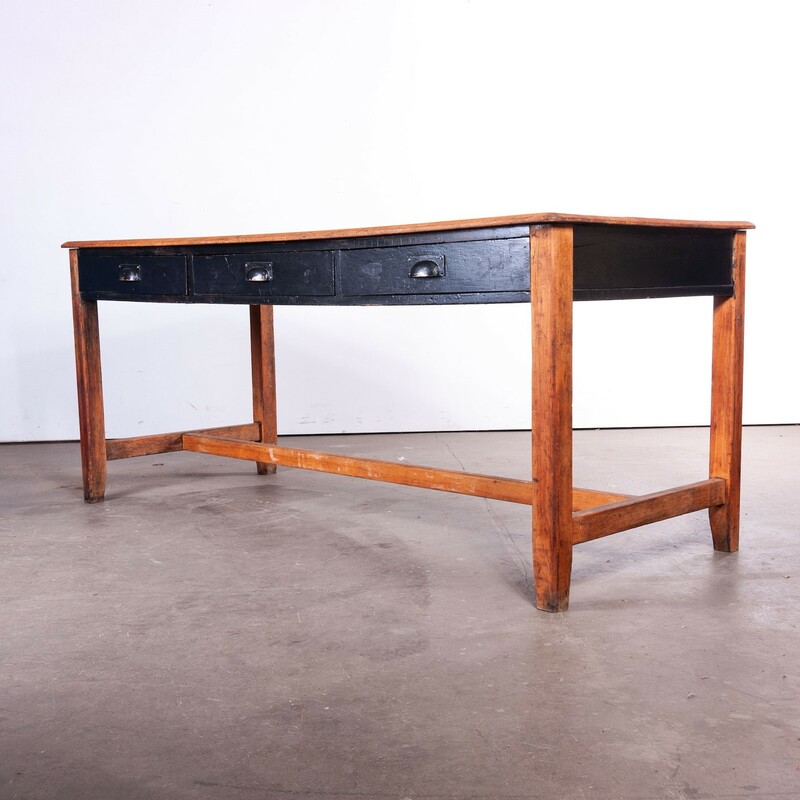 We particularly look for pieces with an industrial heritage, mostly 20th century, built to last, by makers who are either still going or have sadly stopped producing. Britain and Europe has a rich heritage of industrial vintage and we want to bring it alive. Where we know the maker we will let you know, we spend a lot of time researching and hope we can pass that knowledge on. We keep a running list of brands we love, both old and new, in our ‘brands’ section. New. We have spent a lifetime working with some of the worlds great home brands and we are slowly and surely partnering with the ones we believe offer that something special. They have a history of timeless design, a quality of product and a way of doing business. We love combining old and new and as we find our feet and our business grows we will introduce more new to complement the old. A vintage table looks amazing with the right new contemporary chairs. 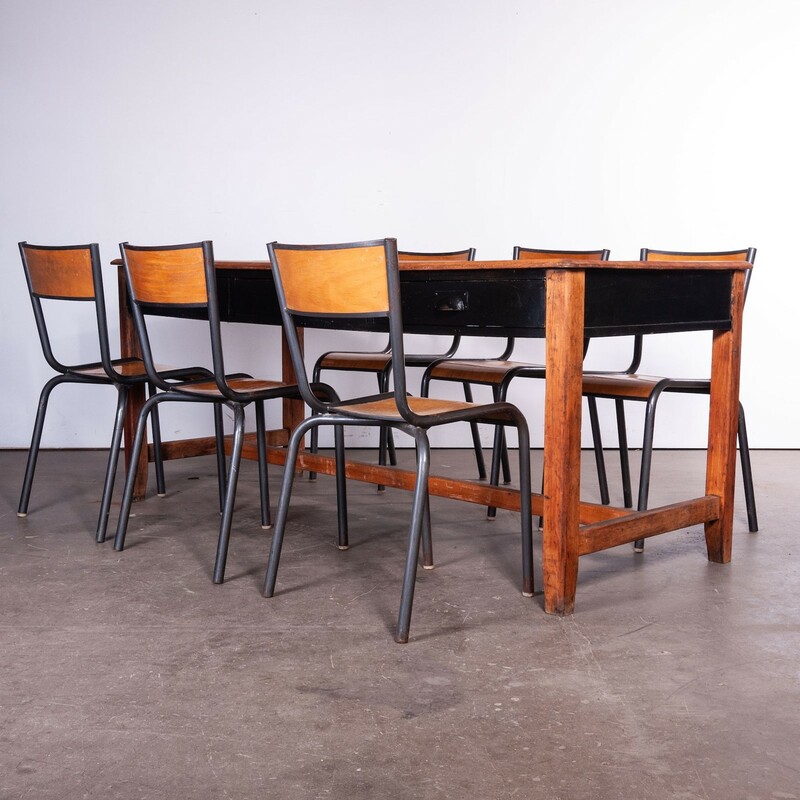 A bold contemporary table can be softened with vintage chairs. Design. We have a deep love of Design. We respect the old and love the new. We love contemporary design but try to see beyond what is on trend and prefer what will be here in years to come. Historical design gives us a huge head start in this respect, the designs that survive and flourish are timeless, beautifully made, fit for purpose and above all great to look at. They have soul. Editors. From all of the above you could say we are editors. At Merchant & Found we are bringing you our vision of products that we love to live with, to use every day, to bring pleasure in daily life. We have been unashamedly selfish in selecting what we love. Architects believe (quite rightly) that a well designed space can enrich the experience of those that use their buildings, more often without even realising it. The proportions of a room, the use of light and space all fundamentally influence our enjoyment. We believe that the furniture and objects you use everyday do the same, they are part of your DNA and chosen well, should enrich your every day life. Lastly, we take care to service (not restore) what we sell. Everything comes to you ready for it's next chapter. We have a warehouse and workshop in Hook, Hampshire, you are always very welcome to visit but please just check with us that we are in. Click here to view M&F shipping information.